Fr. Marc Lenneman is Carroll's Chaplain and Director of Campus Ministry. 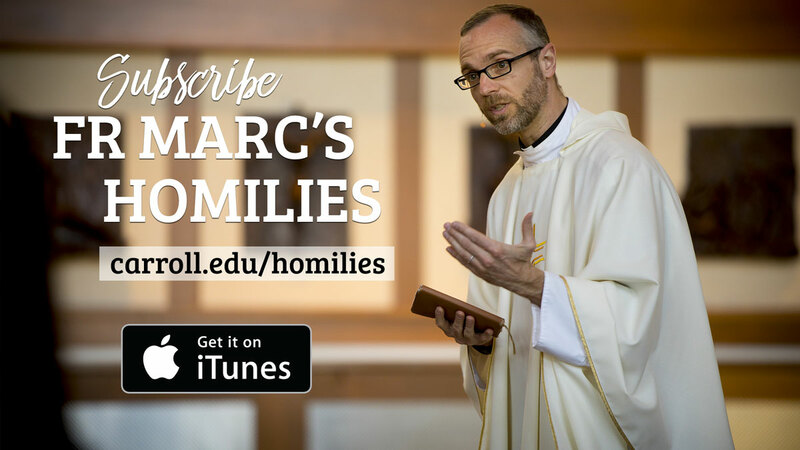 Carroll Campus Ministry has now made all homilies downloadable as podcasts. Now you can listen to homilies while driving home, working out, or during ultimate dance parties. Subscribe to Carroll Campus Ministry podcasts in order to get the most recent homilies. We hope you enjoy!